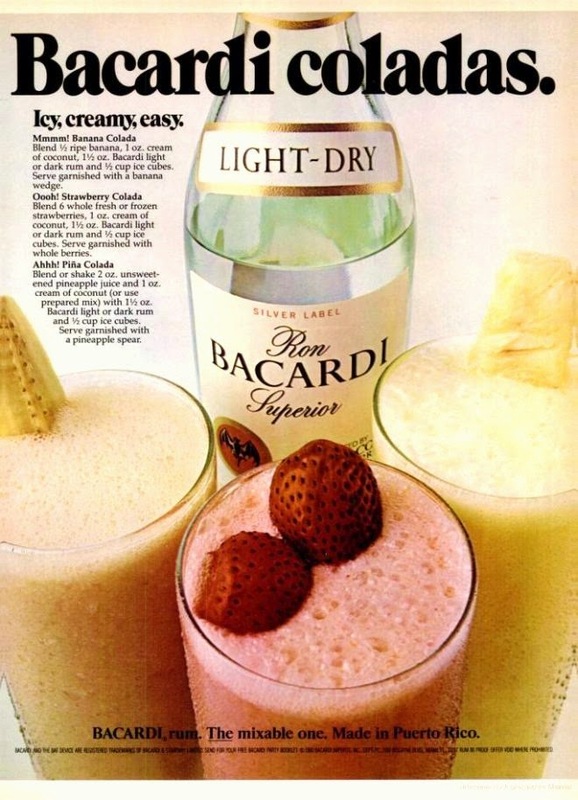 If there is one thing that Bacardi Rum knows how to do... is to be the heart of a great cocktail. 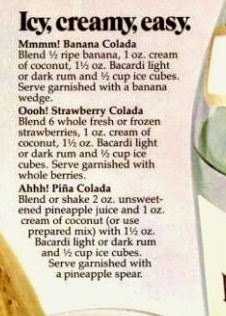 I love all these fruity Colada's. I can even recall when I had my first Pina Colada. In New Orleans. When I was 19. Once upon a time the legal drinking age was 18 in Louisiana. Before the Federal Government demanded it be raised to 21. Or lose high way funds. I had a lot of fun in Louisiana before I was 30. It was the best place you could go with a pack of girls. And it not financially break you. But it is were they had these wonderful stores called Daiquiri To Go... (or something similar) A wall filled with these Slurpee looking machines... filled with daiquiri's. You get yourself a nice 24 oz drink with a lid and a straw. And go walk around the quarter and enjoy the afternoon.